Ruchi Mahajan is a child artist who has appeared in a few TV shows. She is five year old and was born on 5th June 2013. She hails from Dera Bassi Punjab in India, wherein she is born and now being brought up by her parents. She loves dancing and acting and is keen on making her career in this field only by entering into the small screen and then into films. Her parents are not from any TV or Film background but her cute looks made her into the world of modeling wherein she worked as a child model for different print media ad and then got one commercial ad on the small screen for the Naya Brand. 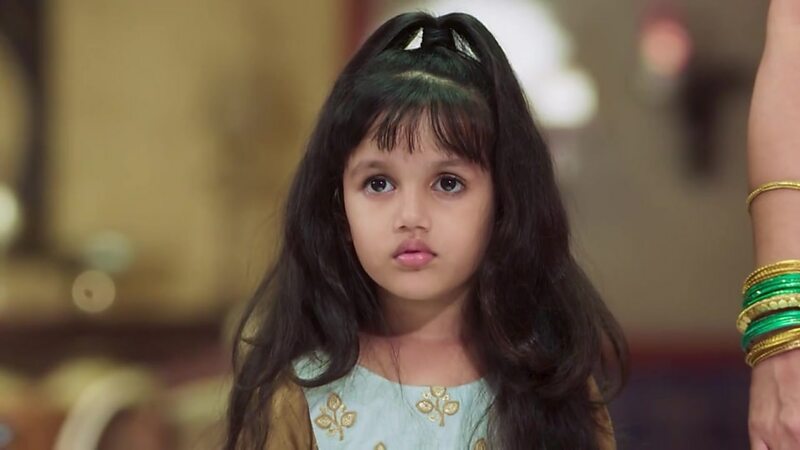 Her assignment in the said commercial TV ad led her to be recognized by a TV director who then roped the cute little girl into the TV show called Yeh Teri Galiyan wherein she is now playing the role of cute little girl called Pucki. Besides, she is learning dance from Star Academy for obvious reasons and have been active in participating in different talent shows and thus participated in Kis Me Kitna Hai Dum wherein she danced and stole the show and hearts of the judges in the year 2017 before she entered into the small screen. Besides, she is also associated with Steps Growing Academy Chandigarh, which is a group associated with identifying talents and nourishing them well. Now, talking about her personal life, she is too young to be linked with anyone, while she likes to dance and enjoy different children’s activities. She is also active in social media and we see some on her behalf doing the updates for her. With cute little girl in the show, we can find a number of people becoming her fan in such a tender age. Well, you stay tuned with us to know more about her and other activities, and she has to go a long way. Do you have anything to comment about her, let us know about her.